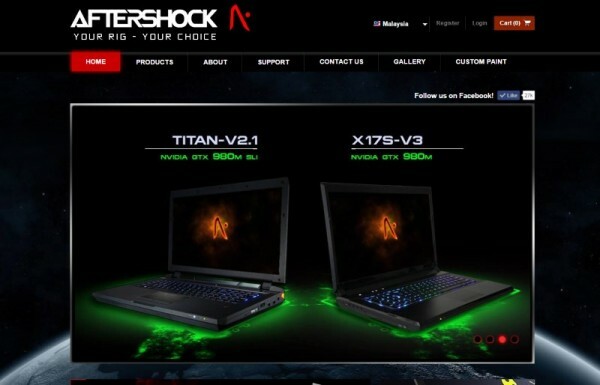 Established in mid-2012, Aftershock PC is a company based in Singapore that specialized in custom high-performance notebook. Even though consumers from all over the world including Malaysia have always been able to order products from Aftershock PC, the company has decided to take a step further by offering its products directly into our market. Made possible by its status as Clevo’s exclusive direct partner for Singapore and our country, Malaysian customers are now able to order customized laptops through Aftershock PC’s official website starting from today onwards. In general, customers not only able to select individual components for their Aftershock laptops but also custom paint job if they wanted to do so. While all Aftershock laptops are made using chassis from Clevo, the actual components assembly and testing takes place at Aftershock PC’s own establishment in Singapore. 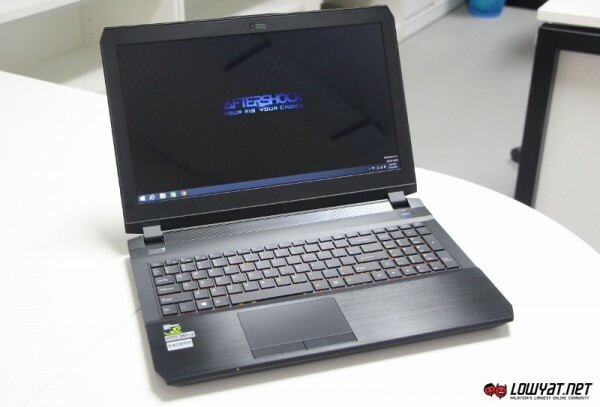 Customers are also able to choose to have their Aftershock laptop delivered directly to their home or pick it up personally at the company’s Malaysian distributor, Tech Armory which is located in SS15 Subang Jaya. Do note that the GTX 970M-based laptop is readily available at the store right away while the GTX 980M models are expected to arrive next week. Additionally, all pre-assembled Aftershock S15 that are purchased at Tech Armory from now until 31 December will receive GELID Solutions GC-Extreme Thermal Compound treatment on their CPU and GPU. Since they are GTX 900M based machines, all of them (and other Aftershock products with GTX 900M GPUs) are eligible to receive free games through the on-going NVIDIA’s Pick Your Path promo. Last but not least, these laptops also come with orange backlight on their keyboard. As for pricing, customizable Aftershock products start from RM 2,799 for notebooks while the company’s desktop PC goes for RM 3,399 onwards. 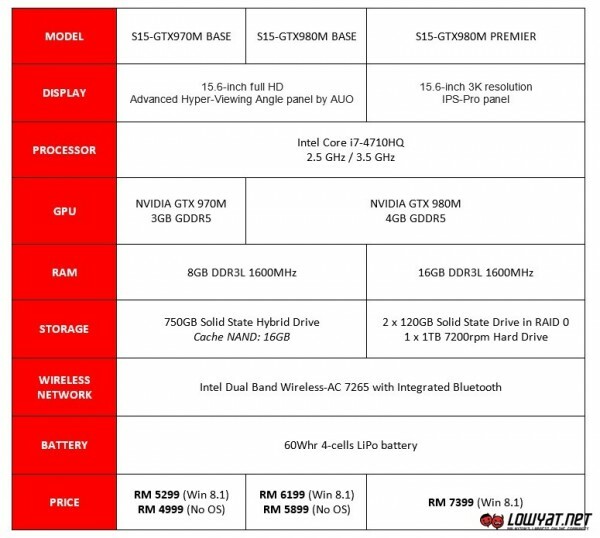 To learn more, head on to www.aftershockpc.com and choose Malaysia on the site’s country selector in order to see product pricing in Ringgit Malaysia. 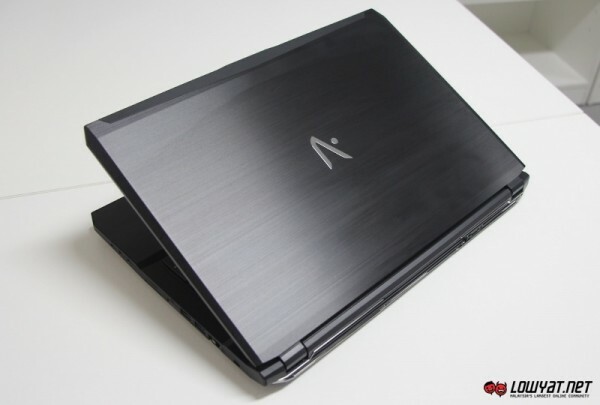 Don’t forget to stay tuned for our first look at Aftershock S-15 Gaming Laptop (shown above) coming your way soon.